We offer a comprehensive internship program for upcoming engineers in Australia. Over 150 students have already completed their in-plant training in the past. Decades ago, government organisations were the major employers of engineering students via internships and graduate programs. This, however, has dropped due to privatisation of most of these organisations over these years and cost-cutting drives that have occurred over many years in these organisations that led to a short-term focus. With the change in the landscape of organisations in Australia, private organisations, industry, and members of Engineers Australia have a great responsibility in providing the much-needed hands-on experience that enables the young guns to gain their skills and face the industry with confidence when they obtain their degrees. We believe that strong technical and hands-on experience together with confidence in these young engineers is vital for the industry and therefore the internship program is structured with much-needed workshop skills together with design, engineering and project management skills. Interns are selected for our internship program through Engineers Australia programs such as professional year program conducted by organisations like Swinburne, Performance Education, Holmesglen etc. Young engineers also join this program to complete their mandatory 12 weeks internship through leading universities in Melbourne like RMIT, Monash, Swinburn, Deakin, Victoria etc and, university vacation/part-time internships from all over Australia. 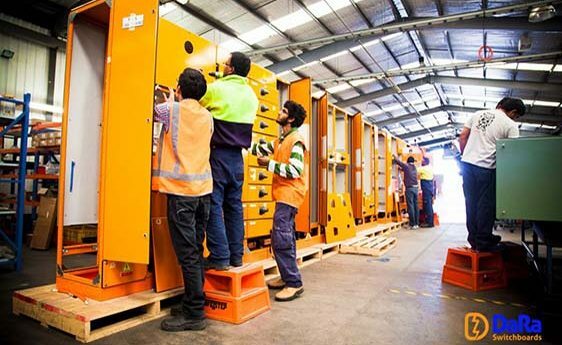 As one of the leading manufacturers of standard and custom switchboards in Australia, we’re always interested in talking to young people with a passion for engineering. Our aim is to give today’s young engineers the opportunity to shine in our ever-expanding business, and give you the skills you need to make a successful career. We’re one of the leading suppliers of Melbourne engineering internships, with over 200 students having successfully completed an internship with us here at DaRa. If your dream is to become an engineer, why not get your engineering career off to a flying start by applying for one of the engineering internships from Melbourne based DaRa? 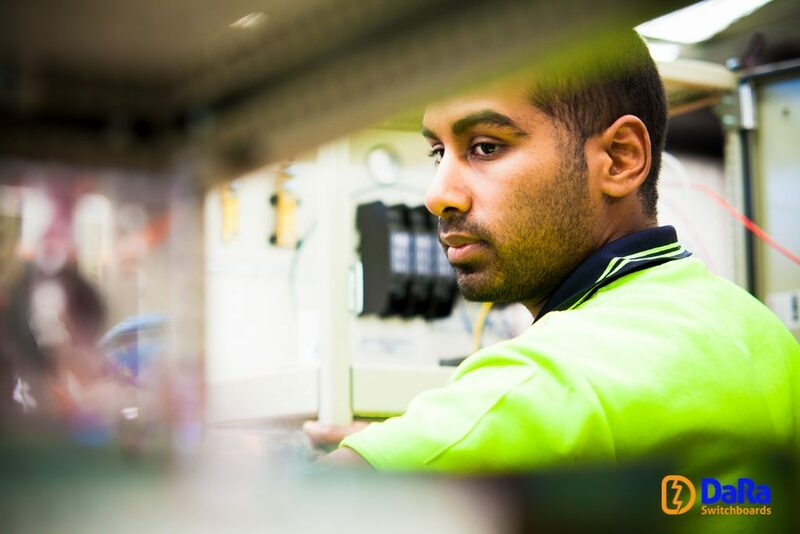 We offer one of the most comprehensive engineering internships in Australia,that’s been designed to give you a thorough knowledge of the electrical engineering industry. In the past, government organisations were the major employers of engineering students via internships and graduate programs. However, due to the privatisation of most of these organisations many internship opportunities were lost. At DaRa, we’re committed to providing a high quality internship for engineeringstudents and giving you the hands-on experience required to gain the practical skills you need. As engineers ourselves, we believe that strong technical and hands-on experience is just as vital as any academic study, and that’s why when you start our internship in engineering, Melbourne students can expect to be learning workshop skills together with design, engineering and project management skills. We want to give you a thorough grounding in electrical engineering, and to give you the confidence you need to work in this fast-moving industry. Our aim is to give you an internship that will provide a unique experience, and an excellent opportunity to have workmanship training through real-time projects. All our interns are selection via Engineers Australia programs through organisations such as Swinburne, Performance Education and Holmesglen, or via a mandatory university 12-week internship. You can also apply via Internships Australia, Internships New Zealand, and Career DC, and we’re happy to accept international applications. You can also send your resume and cover letter to internships@dara-switchboards.com.au or apply by hitting ‘Apply Now’ on our website. Once you’ve submitted your application, please check your email regularly as invitations to interview will be sent via email rather than letter. We’re also currently offering internships in Business Development/Marketing. Contact us now for more information. Furthermore, through organisations such as Internships Australia, Internships New Zealand, CareerDC etc; we open doors for international young Engineers to get Australian Working experience via our internship program. Please click the ” Apply now ” button. Always keep up-to-date with your email and check your junk email folder. You will receive an invitation email to the next stage only if you are selected. Please feel free to contact us via email or skype (darainternships), if you have questions. We are available to answer your questions all weekdays 8.00am – 5.00pm ( Except public holidays ). Dara Internship Program Provides a unique experience to all our interns.The program provides an excellent opportunity for everyone to have workmanship training and engage with real time projects. These are our past intern’s testimonials who have completed their internship program successfully.